Siding protects your home from that crazy Midwest weather. Siding replacement averages a 77% return in value when selling your home! Your find peeling paint or wallpaper inside your home, but no signs of mold or water damage. You notice dents, cracks, or chipping in your siding. If you notice any of these, chances are your siding has experienced severe weather damage and your insurance may be required to pay for replacement. Call a licensed contractor and have your property inspected. You find holes in your siding. Holes can end up being a significant issue. Holes give water a free entrance behind your siding and into your home. You find signs of rotting, warping, buckling, or bubbling in your siding. If you notice any of these things you should call a contractor before this issue spreads.This happens when there is unwanted heat and moisture trapped behind your siding and needs to be fixed. Low quality siding, poor installation, lack of insulation, and damaged siding will causeair flow problem and raise your heating and cooling costs. Sometimes significantly. Call a contractor if you are experiencing excess heating/cooling costs. You notice significant deterioration, stains, or aging. These problems occur naturally over time and indicate your siding is near the end of its life cycle. These are not only a pain to look at, but other more significant problems are usually soon to follow. Relax and know your home is protected with beautiful, high-quality siding that’s installed right! Our crew will remove your current siding and soffit materials from your property. The exterior of your home will be cleaned, and any debris will be removed. If there is damage, it is fixed. Your property will be wrapped with CertaWrap™ water resistant barrier and the seams sealed with CertaTape™. Corners are installed, windows and doors are wrapped, J-Channel is installed, and starter strips installed. Siding and soffit are installed in adherence with the manufacturer’s guidelines to ensure your warranty is maintained. 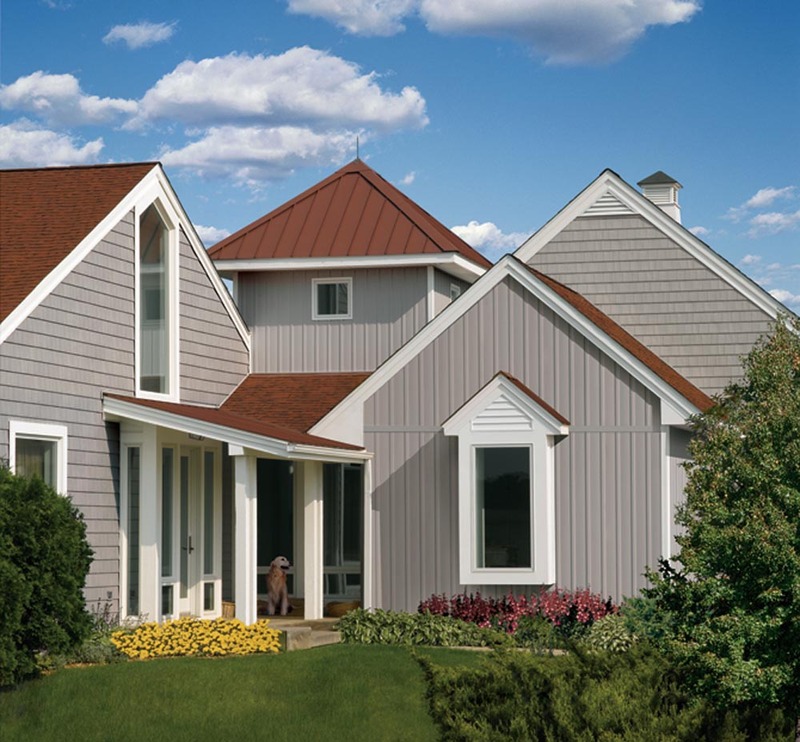 Siding is installed in adherence with any local and national building codes.